Born of the Idea of Making a recliner with a Hidden Footrest. Available at Chair Land. World Renowned Lafer Recliner with Hidden Footrest…at prices $100’s Less than Our Competition. The original Lafer Recliner, designed by Percival Lafer, was born from the idea of making an ergonomic reclining chair with a hidden footrest. The idea was researched and developed resulting in a complete reclining chair solution that is both beautiful and ergonomic. After more than 20 years in production, the Lafer Recliner concept remains authentic and original. 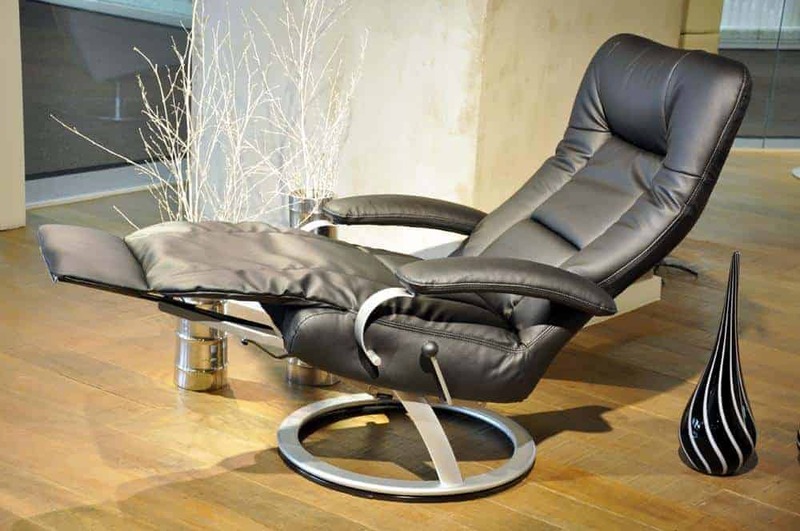 Lafer Recliners are the perfect solution for a beautifully functional reclining chair. Lafer’s patented reclining system is ergonomic and space saving, providing the ultimate in luxury style and comfort. Independent controls for the backrest, footrest and headrest enables a Lafer Recliner to adapt the user’s body for total relaxation whether sitting, laying down, watching TV, reading a book, or sleeping. Every Lafer ergonomic reclining chair is made with a durable steel frame, steel springs, and top grain leather for a superior quality product that is both relaxing and environmentally friendly. You’ll find our selection of Lafer Recliners at our Chair Land Furniture Outlet Showroom in Oldsmar. You can view these beautiful ergonomic reclining chairs in our Lafer Recliners shop page. 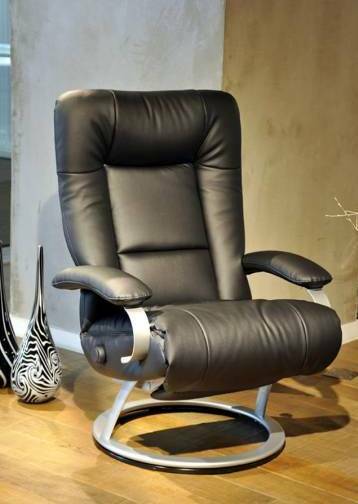 Our Chair Land Furniture Outlet Showroom has the largest leather recliner inventory in the State of Florida. If you find the same Lafer Recliner advertised at a lower price within 30 days of purchase, we will gladly refund the difference plus $100. This offer does not apply to sales tax.